As iPhone is designed bigger and thinner, people find it much more convenient to carry and use it. But this greatly raises the risk of losing the iPhone or it being stolen under certain circumstances. For instance, when you are on a very crowded subway or bus, and you put your iPhone 6 Plus in the shallow pocket of your jacket carelessly, in this case, your iPhone can be stolen by someone very easily. Once your iPhone is stolen, probably you will lose it forever and never get it back. We are aware of the consequences of losing an iPhone which not only exposes your contacts but also your messages, photos and other personal stuff. So your prime preoccupation is to calm yourself and find a way to recover the data on your stolen iPhone. As it's known to all, it's almost impossible to retrieve the entire data from a stolen iPhone, but if you have ever synced your iPhone with iTunes, you still have a shot at recovering some important data such as contacts, messages, photos, videos, call history and other files. Since iTunes doesn't allow you to restore the data selectively, you need a third party program to help you extract and restore the data you need urgently. 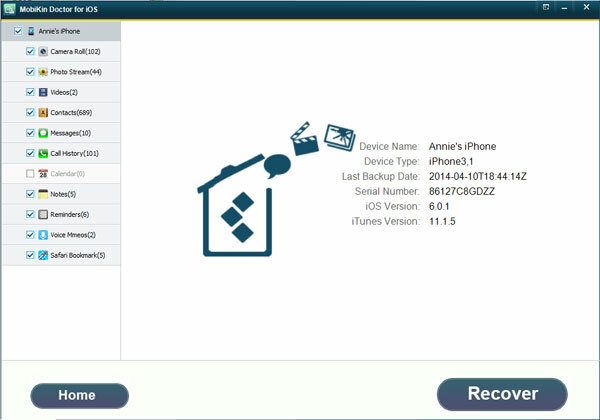 MobiKin iPhone Data Recovery (Windows/Mac) is a powerful recovery tool. With its assistance, you can preview the data on the iTunes backup like contacts, messages, photos, call history, videos and music, etc. Then you can select the files you need to recover from the backup quickly. In addition to iPhone, you can use the data recovery software to restore all other iOS devices like iPad Air/4/2/mini, iPod touch 5/4. Now you can download a free trial version to have a try by clicking the icons below. We are going to show you the instructions of the Windows version. Mac users can switch to Mac version as well. First launch the software on your computer. 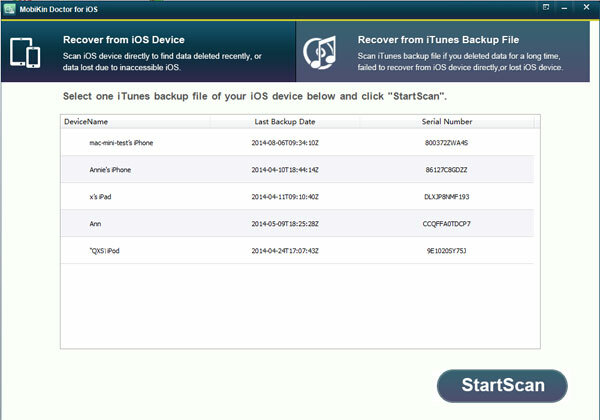 Select the mode "Recover from iTunes Backup File" and choose the iPhone iTunes backup file. 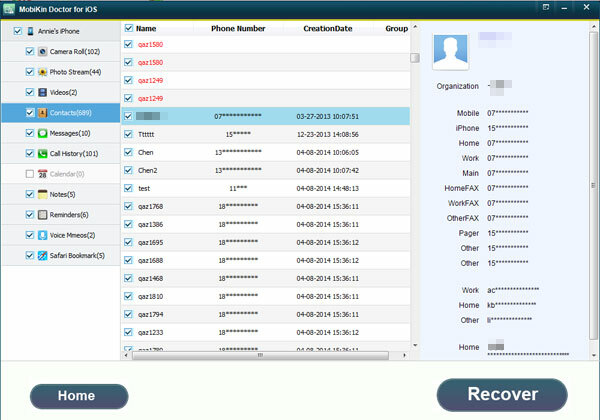 Then click "StartScan" so that the program can start scanning your iPhone data. Then you will see the detailed information of your iPhone on the popped-up window below. Preview your files on the left side, and choose the essential data to extract them to your computer. 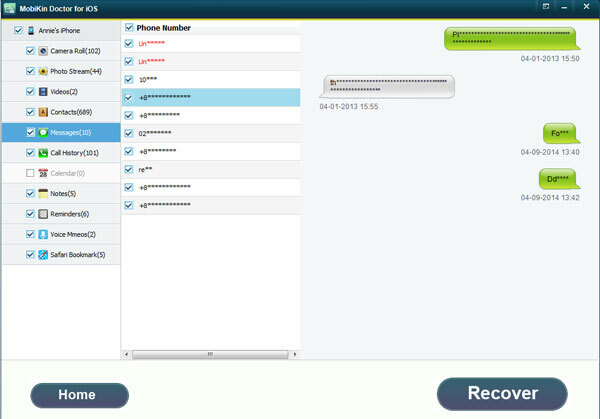 For example, you can select "Messages" folder and have a good look at the contents of the items on the right panel. Then tick those you consider as the important and hit "Recover" to save them on your computer. 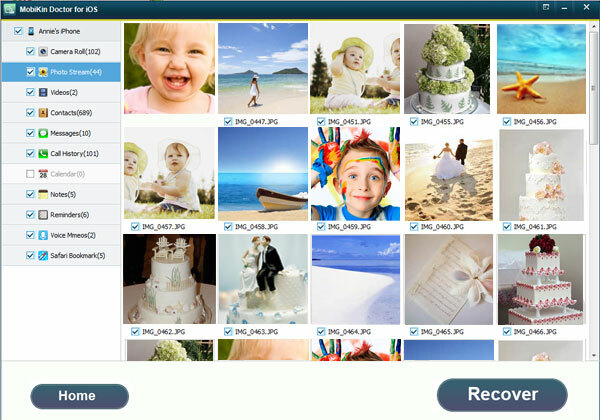 To recover other basic folders like contacts, videos and photos, the procedures are the same. Note: Assuming you get back your iPhone fortunately and find some data on your iPhone missing, and you don't have any backup on iTunes, then you can also use this software choosing the default mode to recover all your lost data. The steps are similar to the latter mode. You can review the instructions accordingly. How to Retrieve Lost Data When Jailbreaking iPhone 6 Plus or iPad Air?